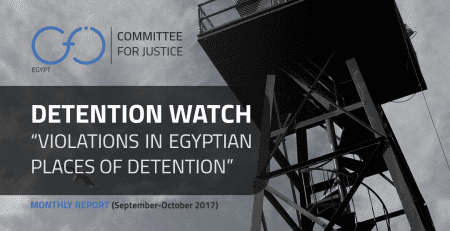 Committee for Justice(CFJ) published its first annual report on monitoring violations in Egyptian places of detention for 2018. This takes place amid false official statements denying the presence of any political detainees, prisoners of conscience or existence of arbitrary measures undertaken against them, which is a blatant contrast to the precise monitoring and accurate documentation presented in this report. This entails quick rectification and siding with human rights as well as the immediate cessation of all forms of violations and release of detainees. 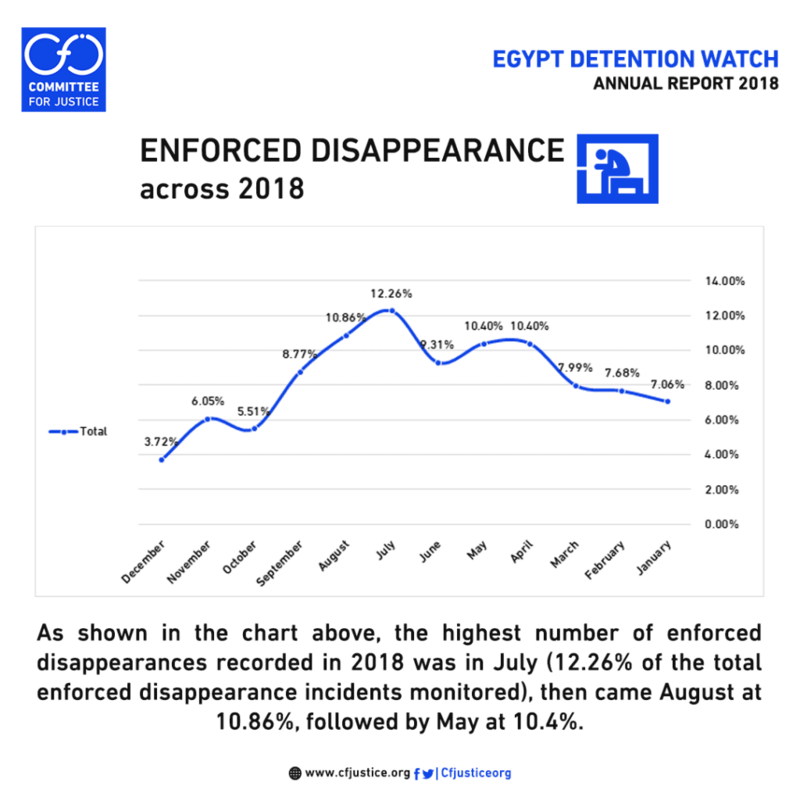 CFJ team monitored 2521 incidents of violations in places of detention during 2018, with enforced disappearance being the most frequent violation recorded, totaling 1302 monitored cases during the year (51.64% of total monitored violations in 2018). Our team also monitored 507 cases of arbitrary detention (20.11%), while medical negligence came third with 347 monitored incidents (13.76%), followed by extrajudicial killing and death in custody with 245 cases (9.7%), then came torture with 120 cases (4.76%). 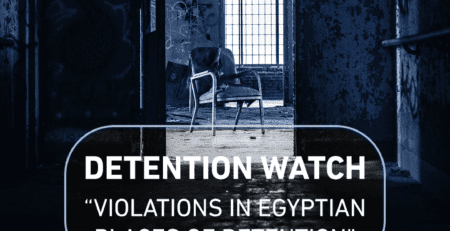 As for documented cases of violations across the first half of 2018, our team documented – through detailed verification and validation – 110 violation incidents committed against 88 detainees which took place in 29 known places of detention across Egypt. 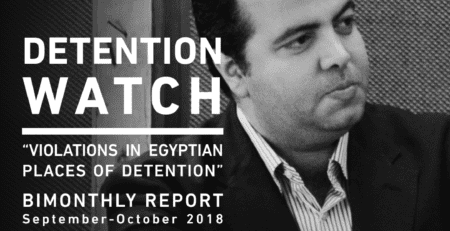 As for the second half of 2018, our team documented 185 violation incidents committed against 158 detainees which took place in 54 known places of detention across Egypt. In the same regard, across the entirety of 2018, our team was able to document and verify 119 cases of enforced disappearance, 81 incidents of arbitrary detention, 55 cases of medical negligence, 14 cases of torture, 11 incidents of withholding visits, 7 cases of ill-treatment, 5 cases of death in custody and 5 cases of extrajudicial killings throughout 2018. The majority of monitored violations in places of detention took place in Sharqiyah and Cairo governorates, owing to the large number of violations monitored in police stations across Sharqiyah, while that of Cairo is mostly due to the number of violations that took place in Tora prison complex. 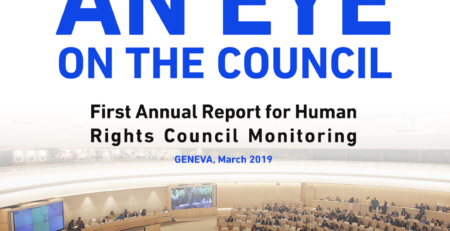 The monitoring team at CFJ employed the “verification tool”; a step that is -regrettably- overlooked by many other human rights organizations reporting in the same field due to difficulties in establishing contact, time consumption and risks associated. Accordingly, it was imperative for the team to communicate with the families of each detainee who suffered a violation and verify and validate collected information. Across 2018, Sharqiyah and Behira governorates were the sites of most enforced and arbitrary detention incidents monitored, where Sharqiyah topped the file of enforced disappearances with 171 cases representing 33.72% of total monitored cases, while Behira governorate came second with 13.35% for the same file, but came first with regard to arbitrary detention across 2018 with a total of 159 cases, representing 31.4% of total monitored cases. 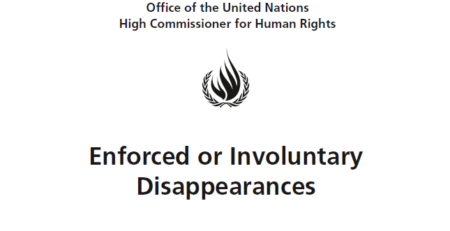 Also, in the context of monitoring and documentation, one of the things worth highlighting is the announcements by the Ministry of Interior of killing individuals during various exchanges of fire, despite these individuals previously documented as being under enforced disappearance, a thing which totally contravenes all international conventions and treaties that Egypt has ratified. Such incidents repeatedly took place throughout 2018. 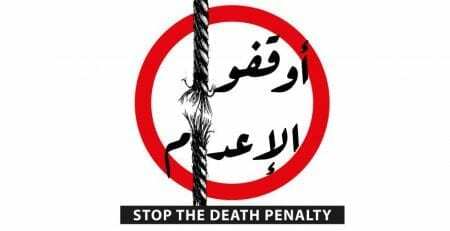 For example, on 25 March 2018 the Ministry of Interior announced killing 4 individuals , whom they accused of being responsible for Alexandria’s bombing that took place on 24 March 2018. However, CFJ had monitored the enforced disappearance of 3 of them since 9 February 2018, 9 March 2018 and 21 March 2018 respectively. The same thing happened on 31 July 2018, as the Ministry of Interior claimed that five men who reportedly belonged to “Hasm” were killed in an exchange of fire with security forces in Qalyubia governorate. Out of the five men, CFJ had monitored the arrest and enforced disappearance of 2 of them long before the announcement of their deaths by the Ministry of Interior, with one dated 6 February 2018 and the other on 27 April 2018. In 2018, CFJ monitored 189 cases of extrajudicial killings, 49 deaths due to medical negligence, 6 cases of deaths due to torture and 5 cases of deaths due to unspecified reasons. Among the most notable violations monitored during the first quarter of 2018, was the occurrence of 13 incidents of extrajudicial killings, 6 of which took place in Ismailia governorate, with another 4 in Alexandria while the remaining 3 took place in Cairo. 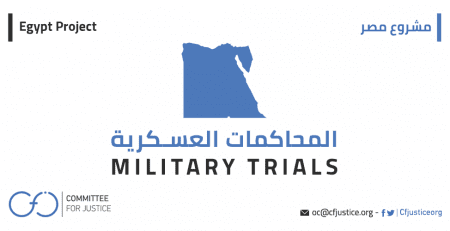 As for notable violations committed within the second quarter of 2018, our team monitored 16 cases of deaths in custody across Egypt due to medical negligence, 5 of which took place in different police stations spread across Egypt, while 3 deaths occurred inside an unspecified prison in Tora. 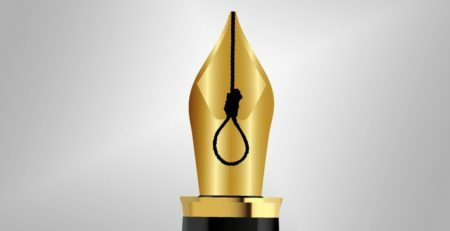 During the third quarter of the year the policies of taking lives away remained, with one of the most notable violations monitored by CFJ monitored being the deaths of 14 individuals inside different places of detention across Egypt due to medical negligence. 8 of those deaths took place in police stations, while the rest of the deaths happened in various Prisons. Also, CFJ team monitored one death due to torture in Beni Suef Police Station and another three deaths due to unspecified reasons. 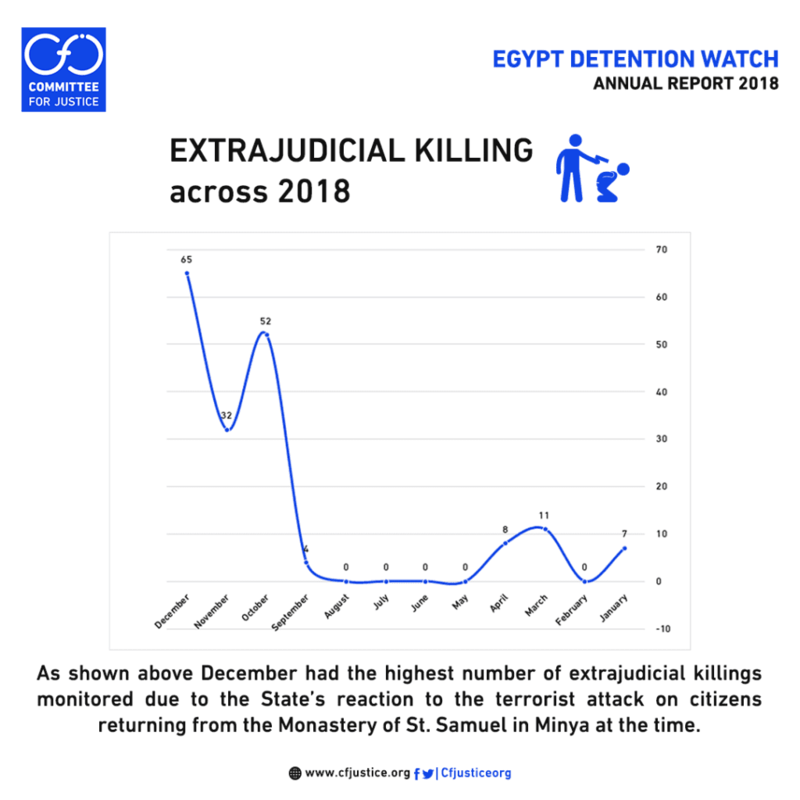 The same disregard to human lives was clearly present during the last quarter of 2018, where our team monitored 149 incidence of extrajudicial killings, 55 of which were monitored in Northern Sinai governorate representing 36.91% of total monitored cases for this period, followed by Giza governorate with 37 monitored incidents representing 24.83%. CFJ also monitored 19 cases of deaths due to medical negligence inside different places of detention across Egypt, 13 of which took place in various prisons while the remaining 6 took place inside different police stations. 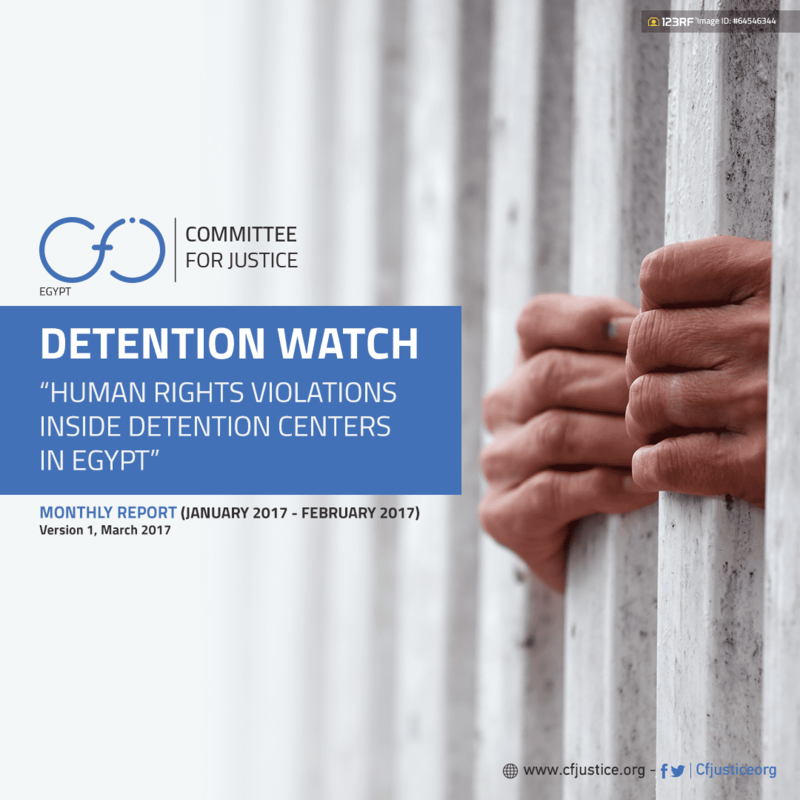 As we present this report, in an attempt to provide an analytical overview of the human rights situation in Egyptian places of detention – formal and informal – during 2018; we hold the authorities fully accountable of their obligations mandated by law (Egyptian constitution, Egyptian criminal law, and international human rights treaties that Egypt has signed). We also call on Egyptian authorities to engage in a dialogue that could formulate coherent and consistent strategies and legislations that put an end to such violations, and supports prevention of impunity of human rights violations in places of detention.